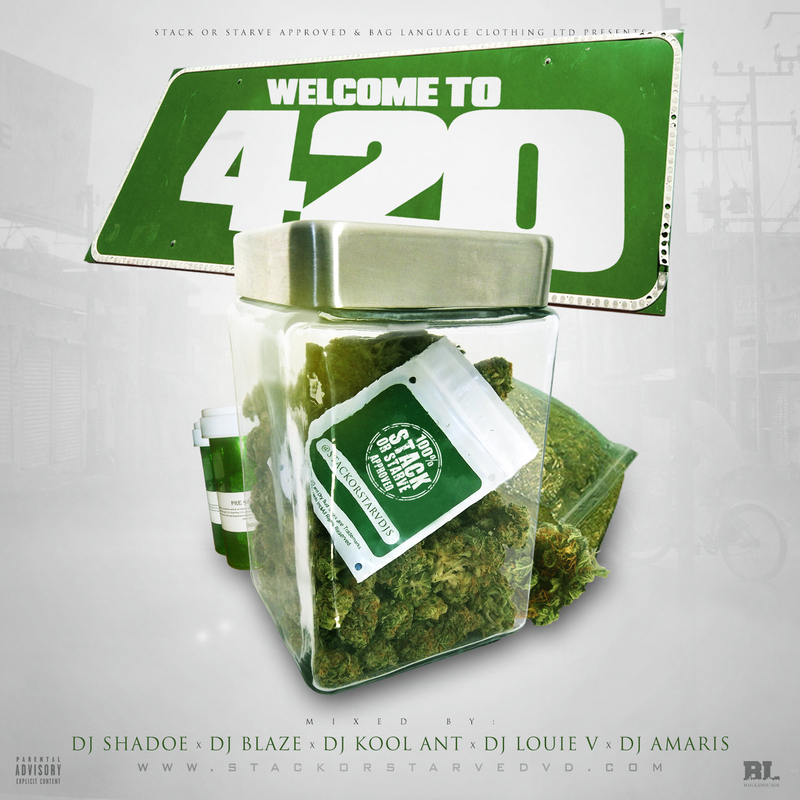 Stack Or Starve Approved & Bag Language Clothing presents "Welcome To 420" (The Mixtape) Hosted By DJ Kool Ant, DJ Amaris, DJ Louie V, DJ Shadoe & Blaze. New & Classic Smoke anthems from many various artists! Roll Up, Light Up & Stream Now!